We will provide you, "5000+ High-quality Followers to your Social Profile" within a few hours. Our SMM team always ready to provide you the exact services with the Faster delivery. Those Followers and Services will Boost your accounts popularity and you will live like a Celebrity on that Media! 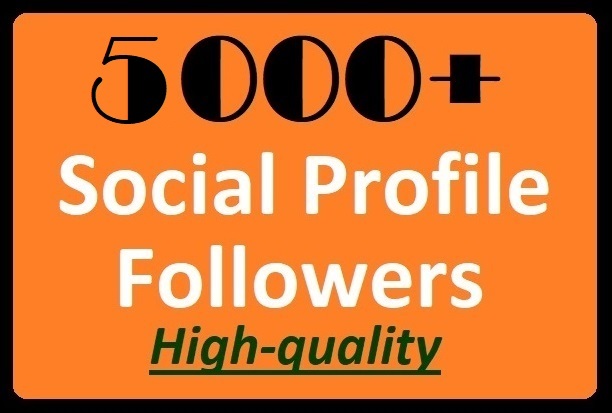 5000+ Social Media Profile Followers High-quality with the fastest delivery is ranked 5 out of 5. Based on 231 user reviews.